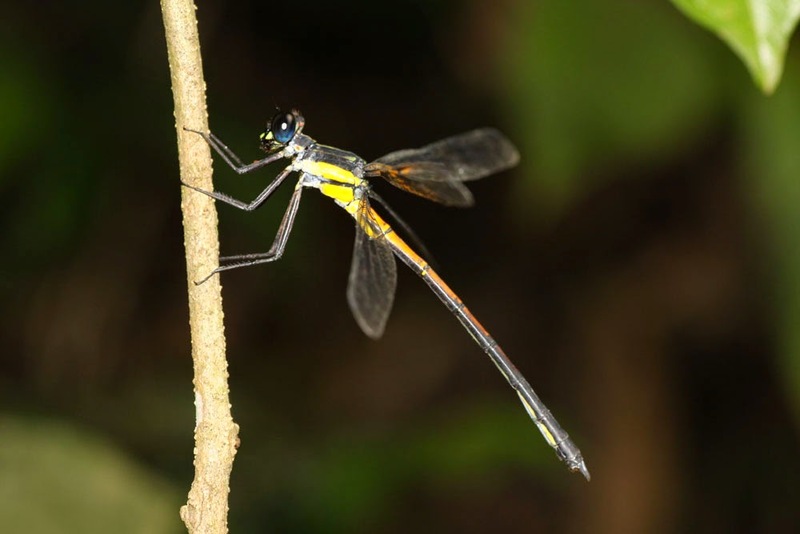 This species was described by Ris in 1921 in the taxonomy descriptions of Odonata that had been collected from Taiwan, South China, Tonkin (Vietnam) and Philippine. A robust damselfly, rest with the wings in a horizontal position. The face, thorax and abdomen are black with green and yellow marking. The colour of the body changes in states of the body developing. The teneral form is very fade with light brown and bright yellow marking, then the body changes into shining black with yellow and green marking or orange marking. They are petiolated wing damselflies, but with many antenodal cross veins on the wings. They live in jungles and the larvae live in the clear running water with muddy or rocky bottom, under shade of the forests. They usually are found in good forest of limestone mountain areas but occasionally found in secondary forests where the nature environment is not disturbed too much. 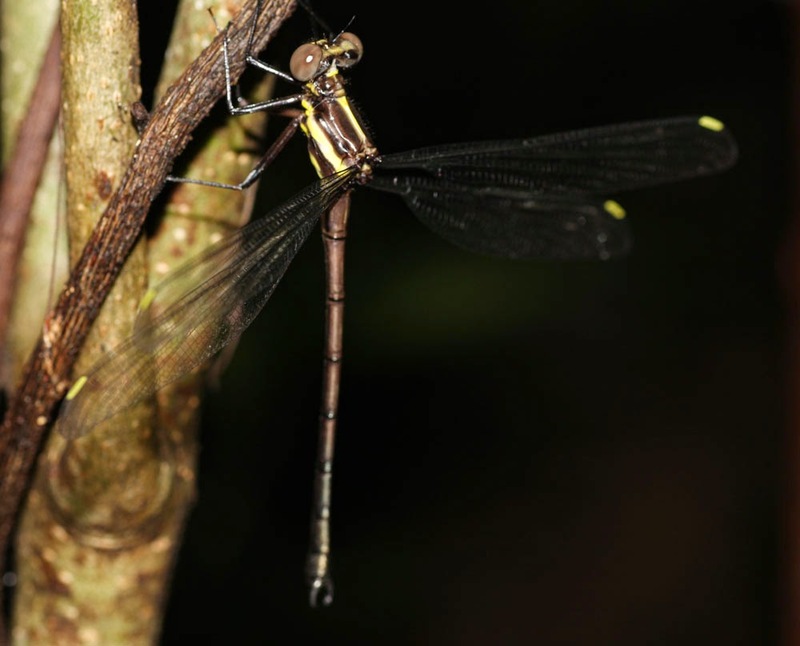 They are weak flying damselflies and usually rest highly in the bush of branch of trees.